Identification: These plants often form dense colonies. 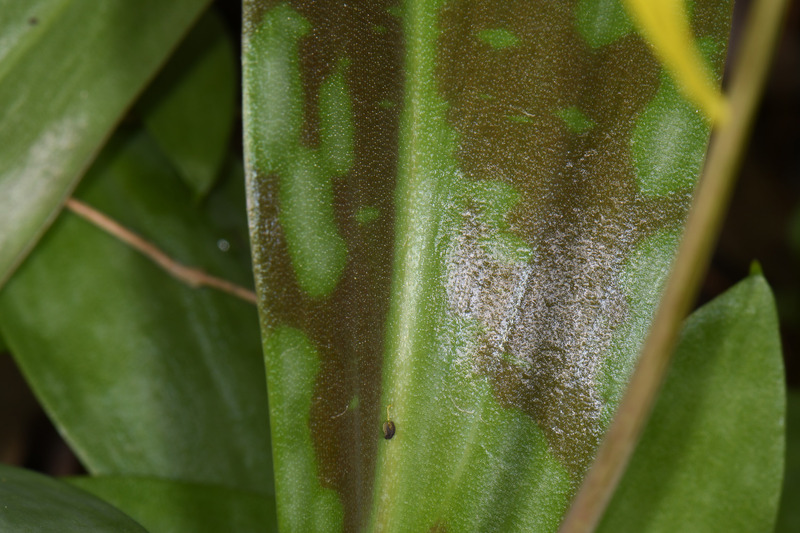 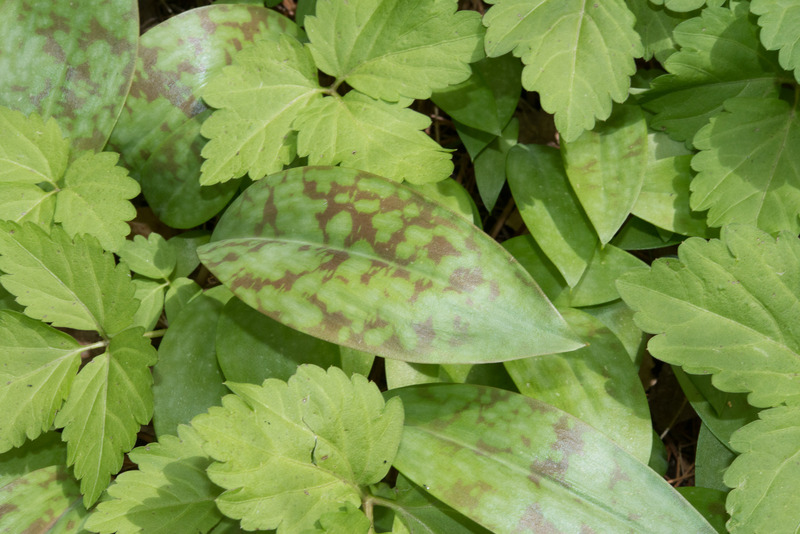 Leaves are sharp-tipped ovals, some narrow, some wide, curiously mottled with brownish or purplish irregular splotches. 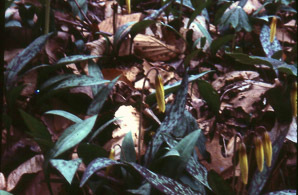 They are 3-6" (7.6-15 cm) long. 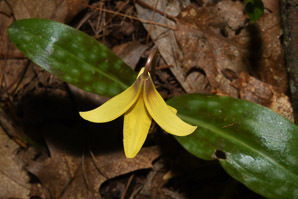 Flowers are yellow inside and bronze, yellowish-brown or yellow outside, nodding, with six petals (technically, tepals). 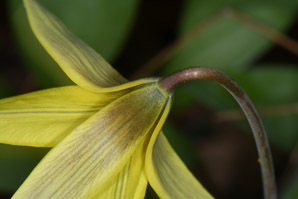 As the flowers mature, their petals bend way back, fully exposing six long brown stamens tipped with six anthers about ½" (1.3 cm) long. 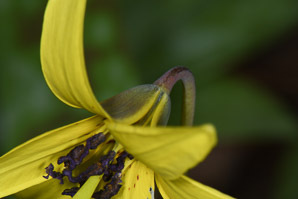 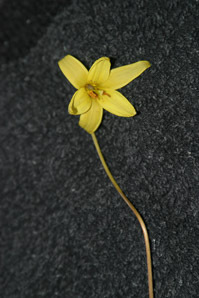 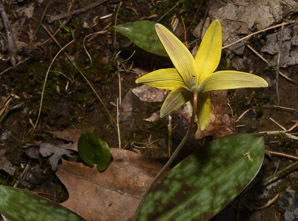 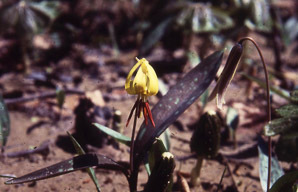 The anthers are yellowish brown at first, darkening to deep red-purple. 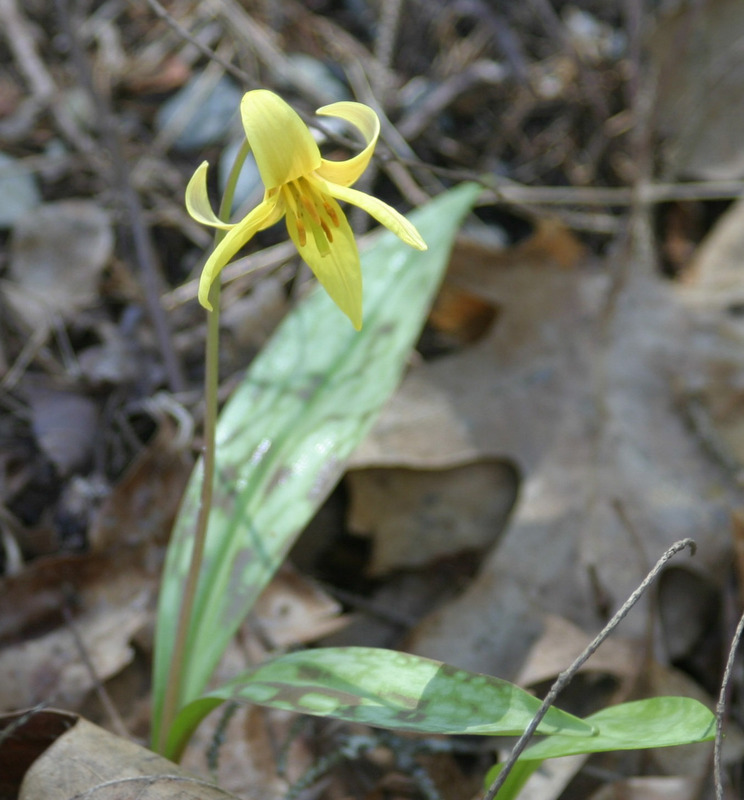 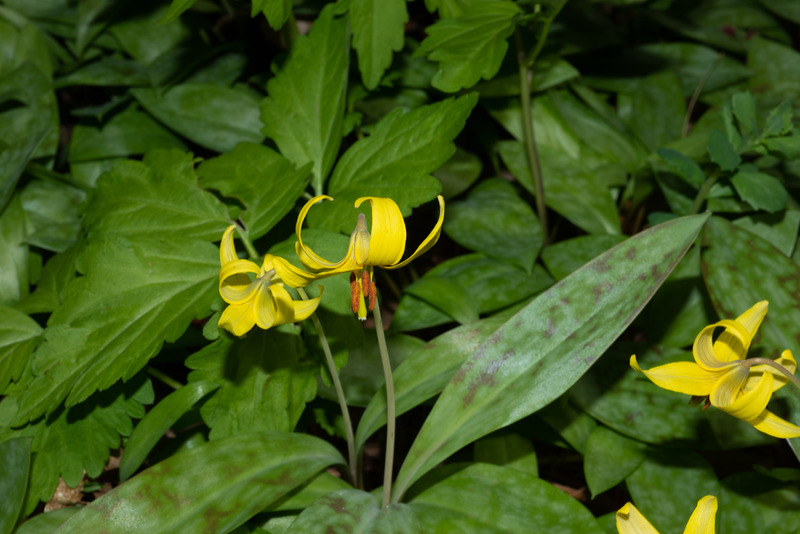 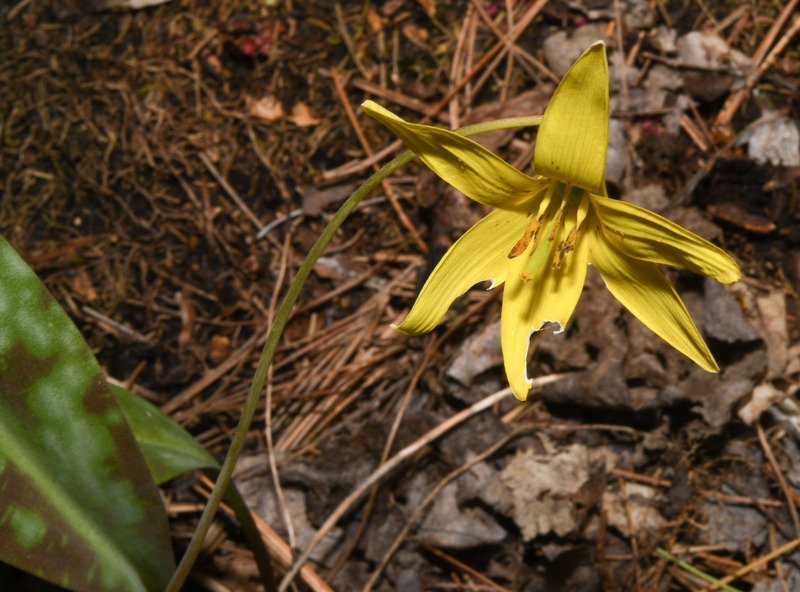 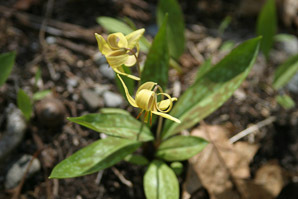 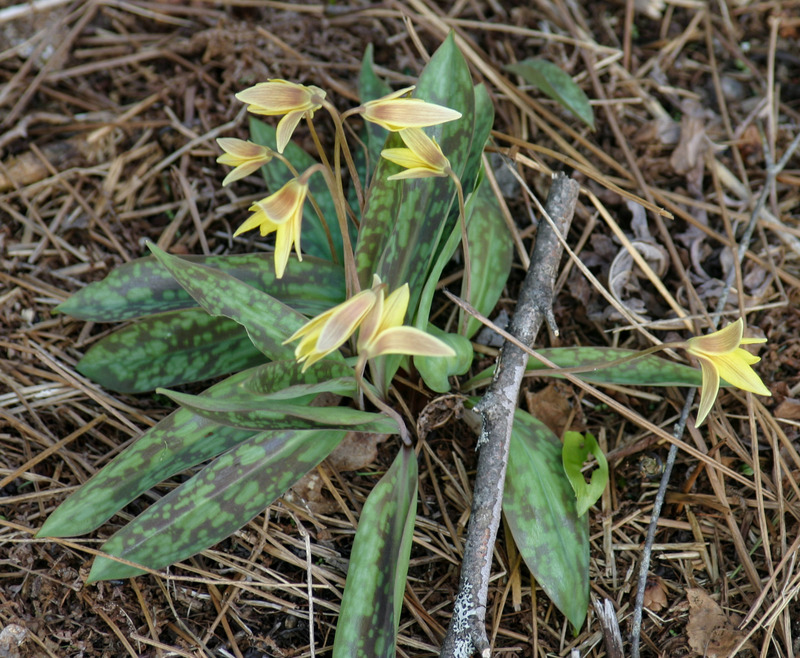 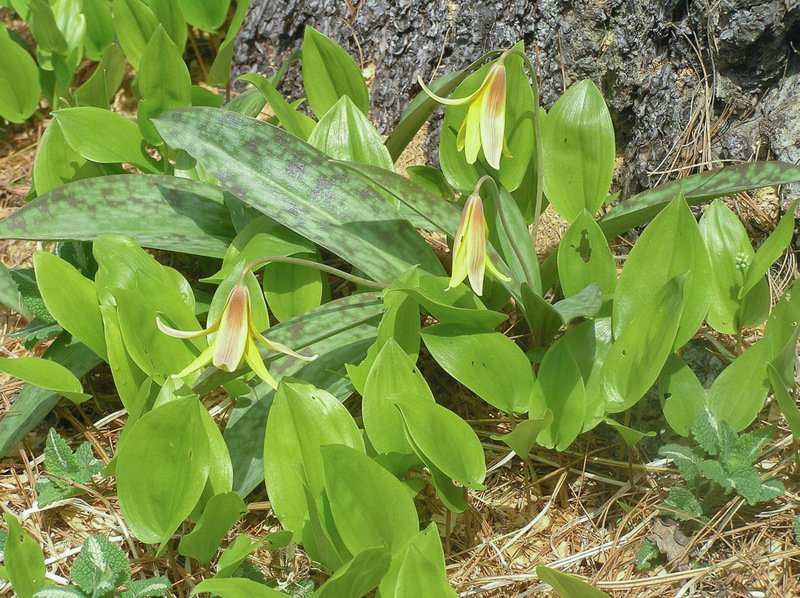 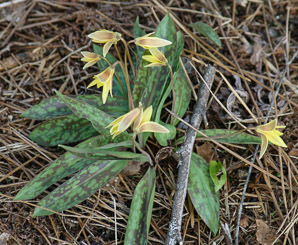 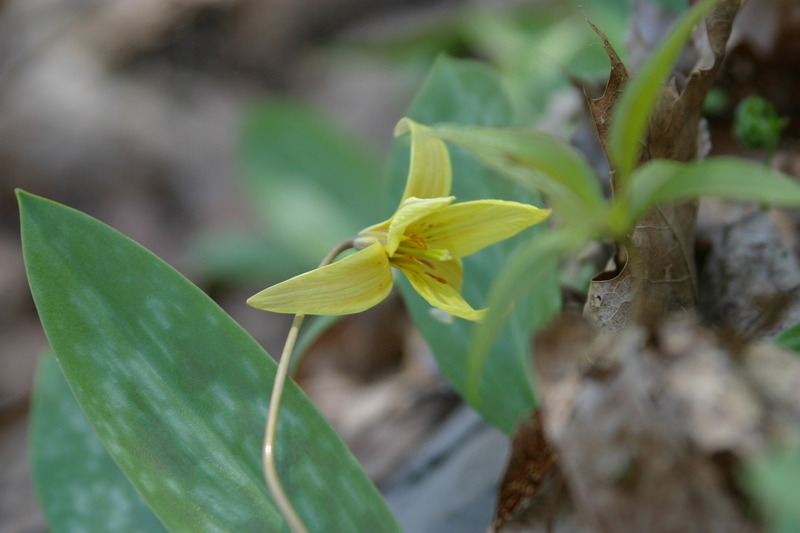 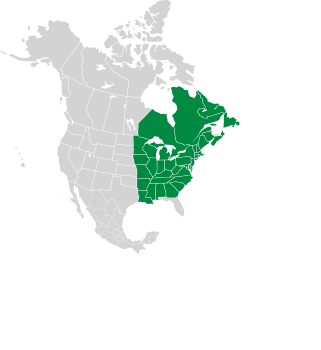 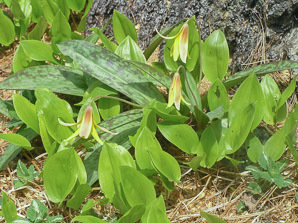 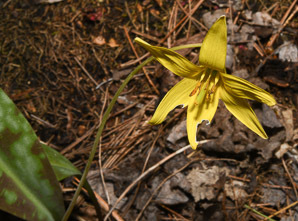 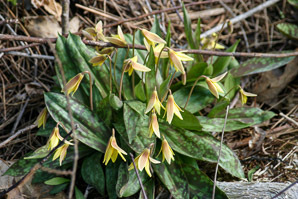 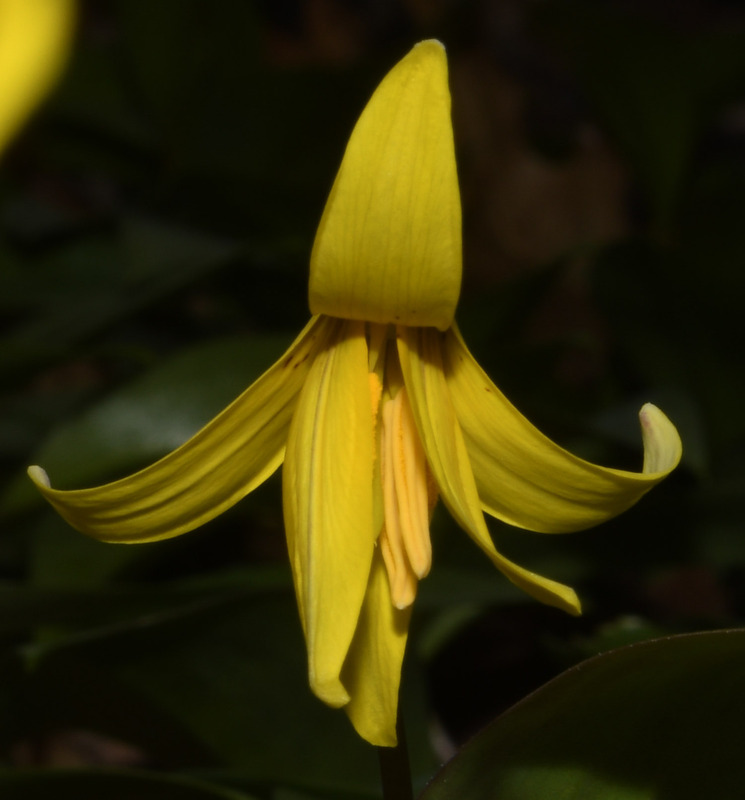 Erythronium americanum description by Thomas H. Kent, last updated 2 Jan 2019.